This leads me to the bloody mess that occurred in Everton, England yesterday. A concussed individual – the Frenchman Lloris in this case – is not a reliable source of information. They have been “brain-damaged” to an extent and any decisions on continuing play by the player themselves should NEVER be used. AVB as a coach is the last line of defense for a player when injured. As we have seen clearly here in the States often coaches use their power as the final decision maker on playing time in an abusive fashion to keep players playing. There is an inherent conflict of interest by allowing a coach to overrule or supersede medical teams. The Spurs doctors, although initially reported as being against Lloris continuing, have now come back with a weak sauce support of the manager; “Hugo was cleared to resume playing after examination by the Club’s medical team,” via Twitter. The FA in all of its oversight and information to protect players hosted the last meeting of the International Consensus on Concussion in Sport. Yes at their headquarters in Zurich, Switzerland, where Jiri Dvorak was there and partook in the event. They know quite well the current standards of concussions. Why there was not a by-law in place to warrant automatic removal is beyond me. What’s more: the player himself admitted that he did not remember the challenge or where exactly he was after the incident. Alarm bell number two, memory loss. This time it is not a sign, rather a symptom, but it confirms what most already knew, Lloris was concussed. The current narrative of Lloris being checked out with a precautionary CT scan and him being ‘OK’ is a bit premature. As we should all know, CT scans or any current imaging for that matter, cannot detect a concussion. The simple net of this post and event is this; no matter the sport or player if someone loses consciousness due to a traumatic force applied to the body or head they have been concussed. Current standards warrant immediate removal from play and CANNOT return in a minimum of 24 hours (although it is our opinion that this should be much longer). The FA, Spurs, and AVB are all wankers in my opinion for not understanding the gravity of this injury. Their actions are mindful of the mouth-breathing, knuckle-dragging, booger-eating cavemen that once were proud members of sport. Who for the most part have become extinct like the dinosaur. Do better and learn from this. The FA should fine and suspend AVB, investigate the Spurs medical team and find a way to make this a positive example. Perhaps Lloris and other concussed footballers can do some public education on the matter? Remember that the injury of concussion is not the massive problem we are facing, rather it is the mismanagement of the concussion that has created this hot mess we are in now. This event certainly shows why. Next Article What About Return-to-Learn? It’s sickening that the sporting world think they can play god with someone’s health. For Viillas-Boas to hail the bravery of LIoris is not only reckless but irresponsible. 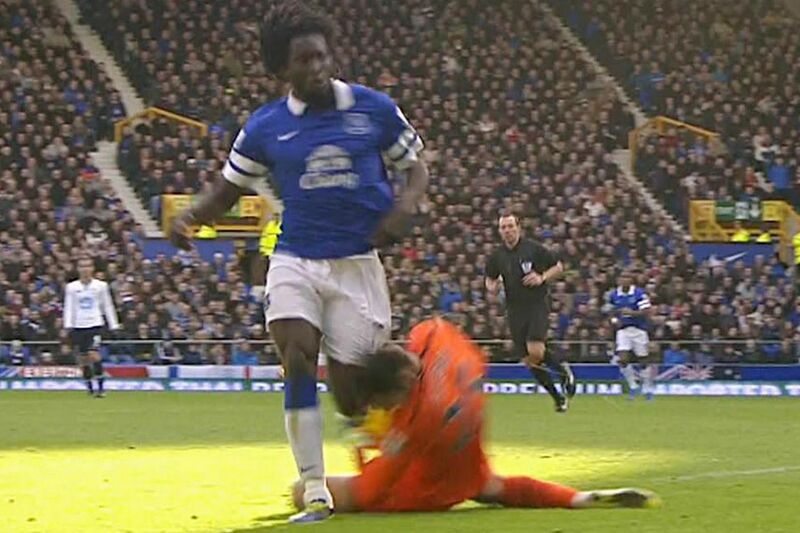 Lloris was in no fit state to make a decision. What type of message does it send out to the vulnerable age group. Disgusted. Athletes deserve better treatment; boxers, yes boxers, get better treatment. A ringside doctor would have yanked this guy in a heartbeat. Boxing admits it is a violent and brutal sport and leaves no room for doctors to make their own decisions. I am shocked you did not get more stick from English folk!